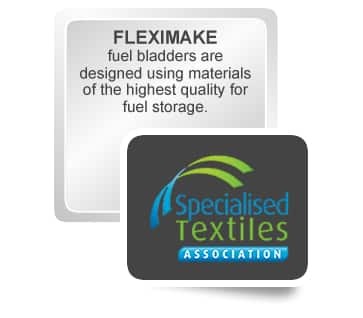 Wonder no more, Fleximake has the perfect solution for you and your water storage woes. 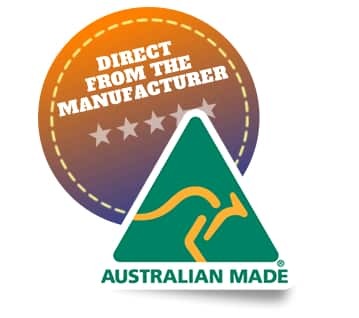 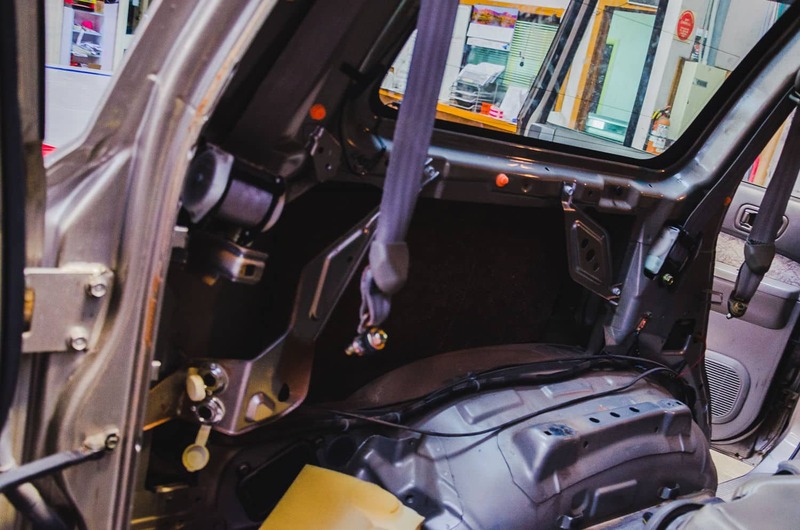 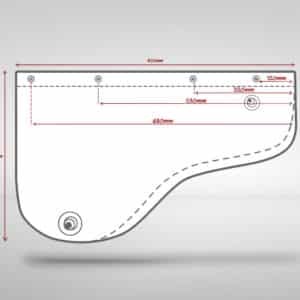 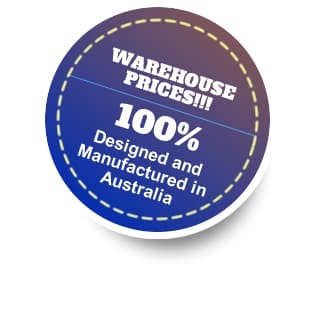 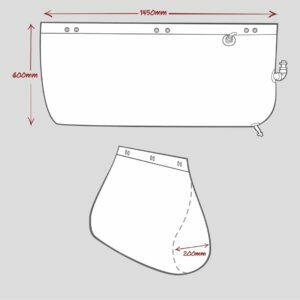 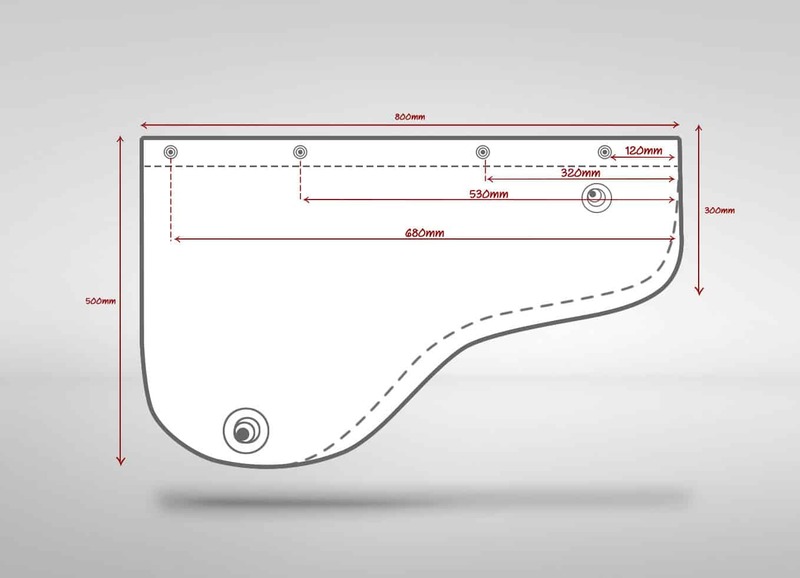 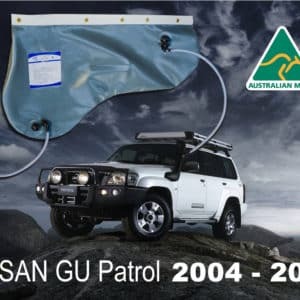 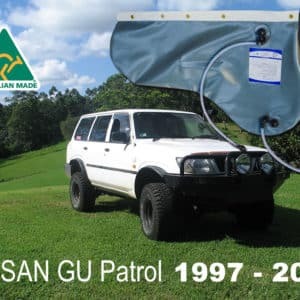 We have designed a perfect bladder to fit inside the rear quarter panel of the NISSAN GQ Patrol. 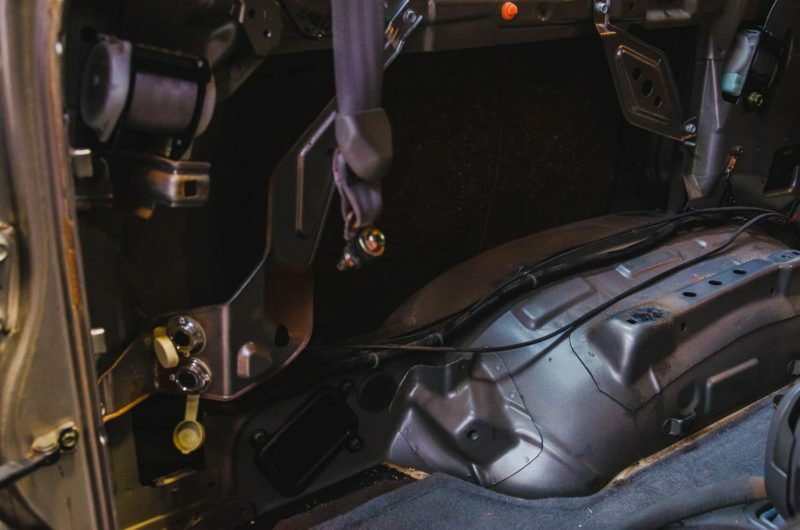 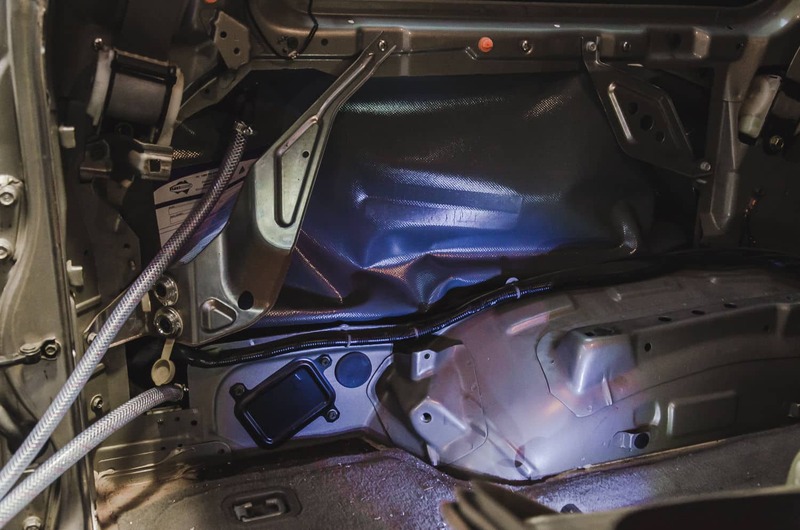 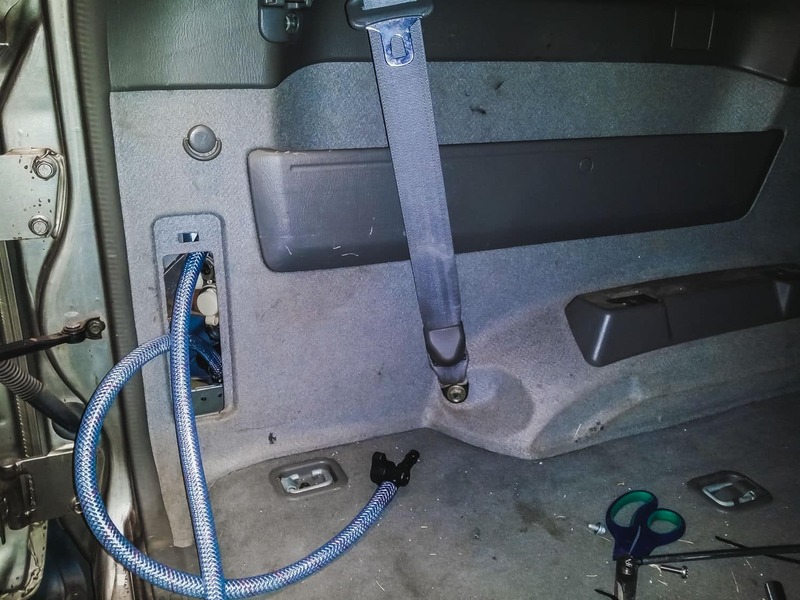 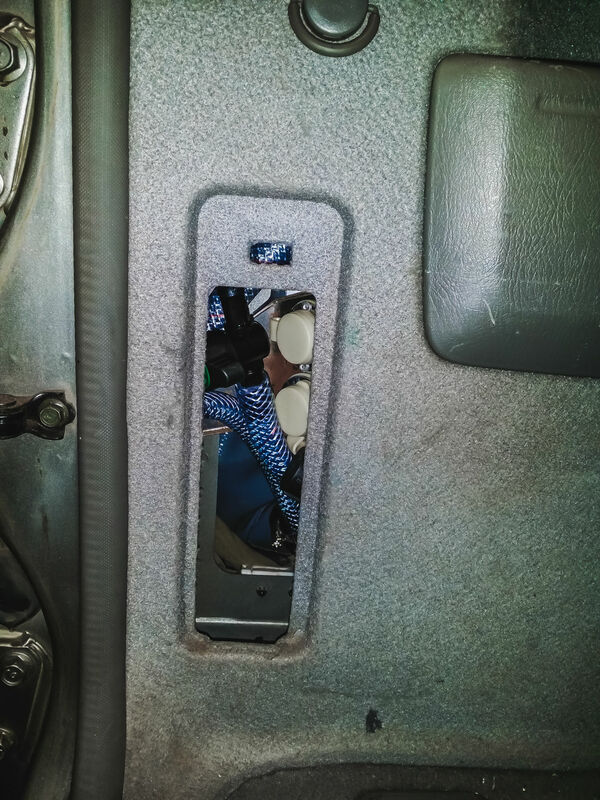 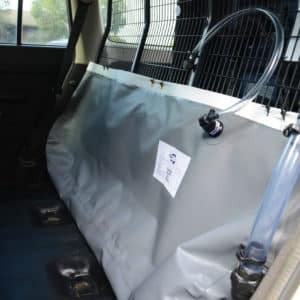 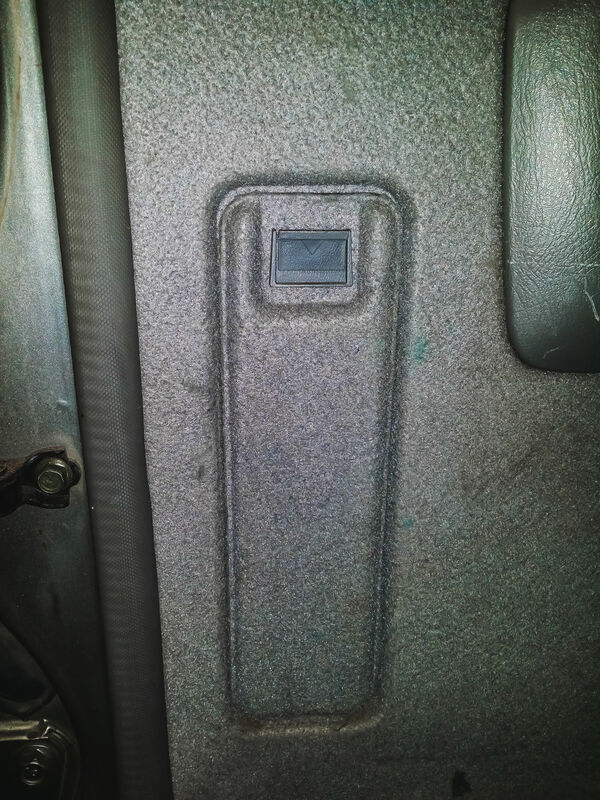 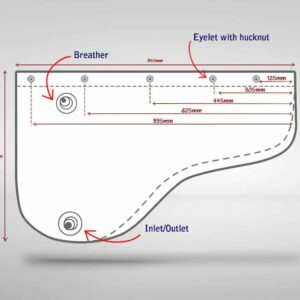 This bladder takes on the standard design of our hanging bladders, but is manufactured to the shape to fit the empty space on the passenger side comfortably and snuggly, it connects up to existing threaded holes inside the rear quarter panel using included nuts and bolts and once connected the plastic shroud can be placed back onto the panel. Fittings can be plumbed through existing openings within the shroud or can be custom plumbed at specific points you require. 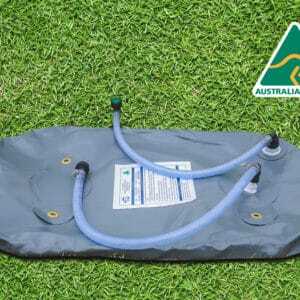 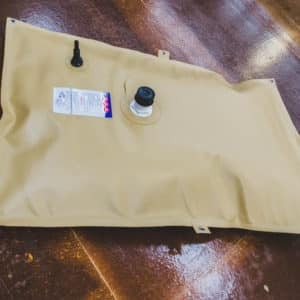 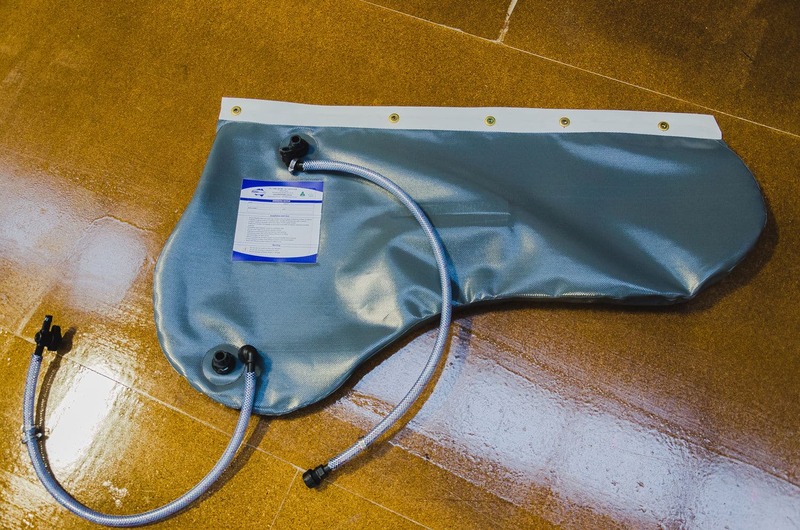 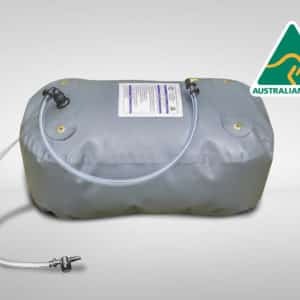 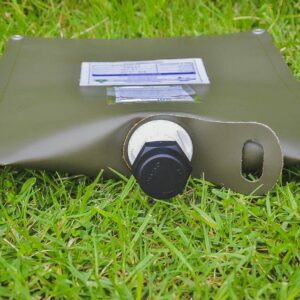 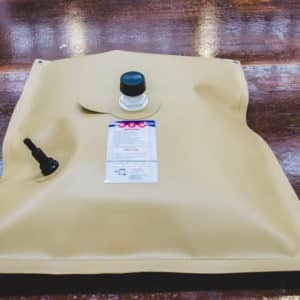 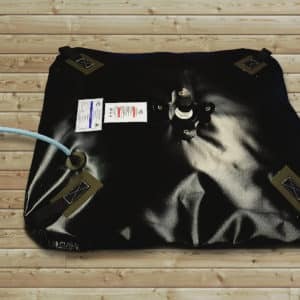 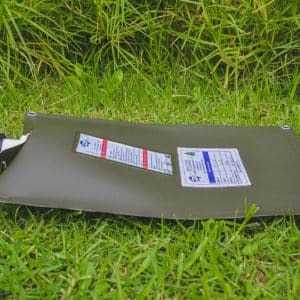 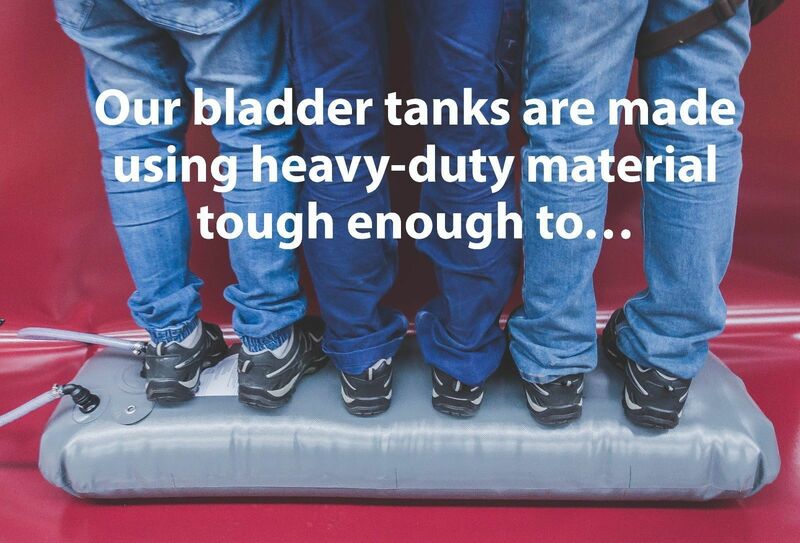 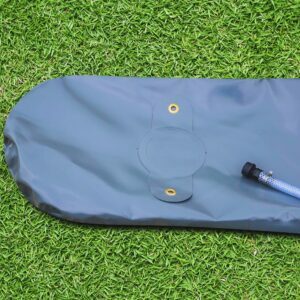 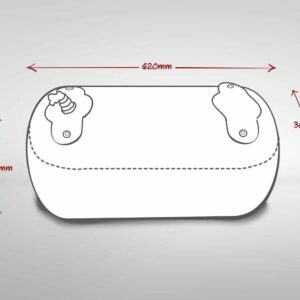 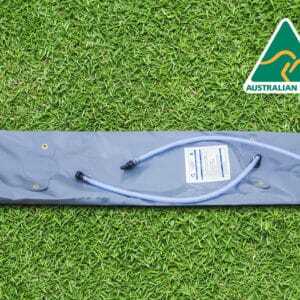 This hidden bladder is able to hold an approximate capacity of 30 Litres, perfect when you need a quick drink when out bush, or to hold you up before the next water refill. 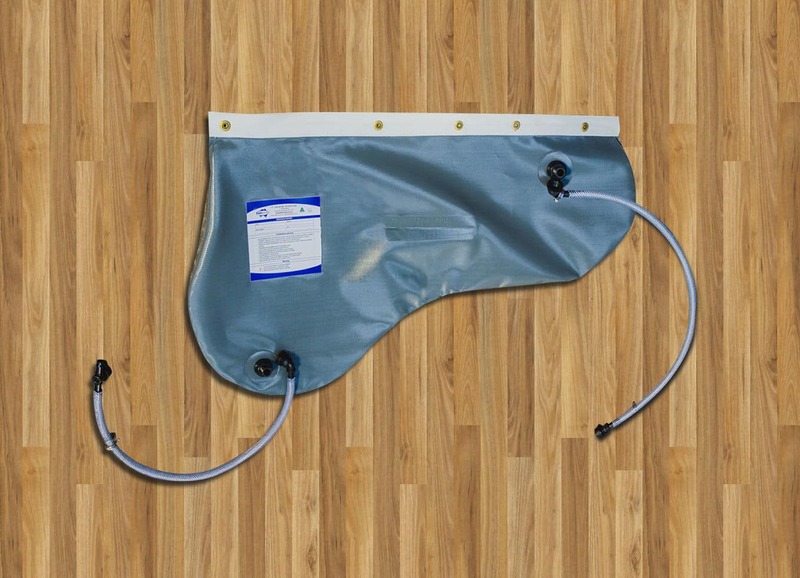 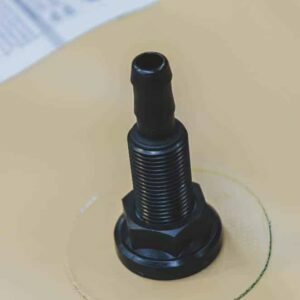 Standard fittings that come with this bladder are 2x ½” BSP Threaded Fitting with Tap/Valve Hose Kit and a Breather Hose Kit. 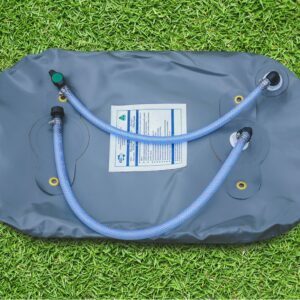 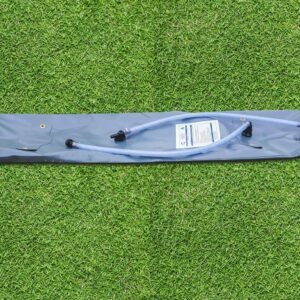 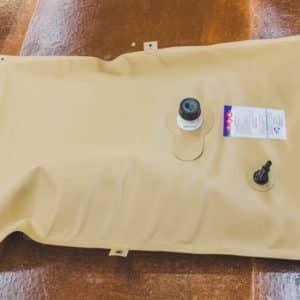 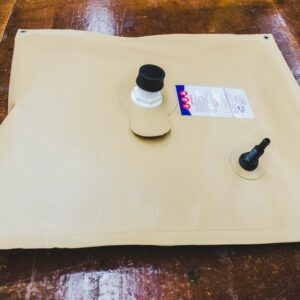 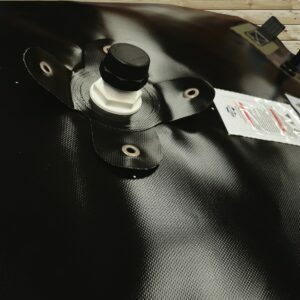 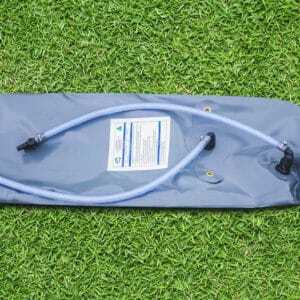 These hose kits can be plumbed directly into the plastic cover, or the hoses routed into existing holes in the plastic cover.